Buy Templatemaker a Coffee. ko-fi.com/tplmkr - Ko-fi ❤️ Where creators get paid by fans, with a 'Buy Me a Coffee' button. 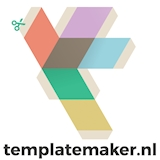 I am the creator of templatemaker.nl, a site where everybody can generate custom templates for paper craft for free! My site contains an ever growing number of templates for gift boxes and increasingly more other interesting things that can be made out of paper. All templates are dynamic: you can customize almost all dimensions. All templates are free, no login is required. Secured Payments. Support goes to Templatemaker's account. Upgrade Templatemaker to a yearly Gold Membership with a one-time payment.